Charles Pinckney doesn’t show emotion during this argument with the relatives, but he’s reaching for his dagger. Back in the days when arguments were settled with duels, it’s remarkable that a bunch of guys named Charles Pinckney didn’t shoot each other. They were all related and were all active in the political life of South Carolina, but somehow they didn’t see eye to eye. Perhaps the best-known of the Charles Pinckneys is famous for being obscure. He is sometimes referred to as “the forgotten founding father” because of his role in the Constitutional Convention. Even though he doesn’t get the recognition of, say, George Washington or James Madison or Alexander Hamilton, it’s known that Charles Pinckney had a lot to say at the convention. Among other things, he introduced the important clause in article VI that forbids a religious test for any public office. In later years he claimed to have submitted a draft — the Pinckney Plan — that was the basis for the final Constitution. Nowadays, most historians sort of roll their eyes when the Pinckney Plan gets mentioned. No copy still exists, if one ever did. As mentioned, he was active at the Convention, and deserves credit for being among the framers. He wasn’t the only signer of the Constitution by that name, however. An even more forgotten founding father was Charles Cotesworth Pinckney; they were second cousins. Cotesworth’s father was… yes, Charles Pinckney, a South Carolina chief justice. That guy — let’s call him Justice Pinckney — was the uncle of Colonel Charles Pinckney, who was the father of Charles “Article VI” Pinckney. Things must have been a little strained between the signer of the U.S. Constitution and his dad, because back during the Revolutionary War, the Colonel had switched sides. Originally a leader of those fighting the British, he changed his tune to “God Save the King”, becoming a Loyalist. 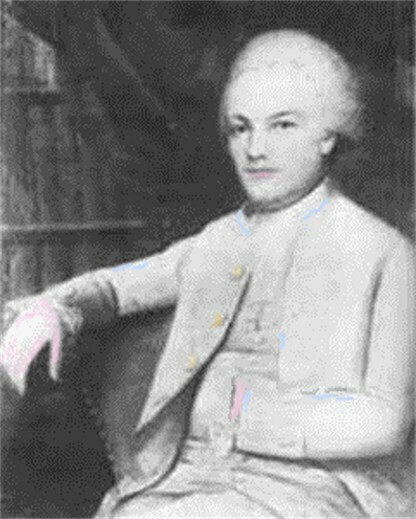 Charles “Article VI” Pinckney supported a strong central government and, with his cousin Charles Cotesworth Pinckney, was a leader in the Federalist party. As such, Charles was elected governor of South Carolina several times. Around 1795, though, he followed his father’s example and changed sides, abandoning the Federalists and getting cozy with Thomas Jefferson’s Democratic-Republicans. Meanwhile, Charles Cotesworth Pinckney remained a staunch Federalist. He was John Adams’ running mate in the election of 1800, and the Federalists’ presidential candidate in 1804 and 1808. Charles “Governor” Pinckney worked to defeat his cousin, and the rift grew so bitter that they never spoke to each other again. Governor (also senator and U.S. representative) Charles Pinckney died in 1824, but before that he must have quarreled with his son who was, thankfully, not named Charles. He was Henry L. Pinckney, who became a prominent politician and newspaper editor. Henry’s opinions, shared by others, ultimately led to South Carolina’s secession from the United States, of which his biological father had been a founding father. There may be other explanations for the broken crockery being found at Snee Farm, the ancestral plantation of the Pinckneys — but I’m thinking food fights at the very least. This entry was posted in History and tagged Charles Cotesworth Pinckney, Charles Pinckney, Constitutional Convention, Henry L. Pinckney. Bookmark the permalink. That religious test clause is huge! Had no idea I owed him a debt of gratitude. Interesting post!